For the first time in 20 years, the number of homes with a television is expected to decrease. 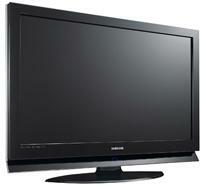 Since 1992, the yearly Nielsen reports have indicated the same thing - more households are buying televisions than ever. Every year, more and more households are reported to own television sets. Every year, that is, until this one. Nielsen says that while currently there are 115.9 million sets out there, we can expect that number to drop to 114.7 million by the end of the year. That marks a significant shift away from television, and the folks at Nielsen say that we can attribute that to three different causes. First, they say that the digital transition of 2009 affected a number of homes that did not make the switch. Rather than pick up a set that could handle digital, they simply chose not to watch television. The second, and this could easily tie into the first, is the economy. Lower income homes in rural areas were particularly affected by this according to Nielsen. Finally, the company suggests that the ability to watch videos on other devices has made televisions less appealing to some. Being able to enjoy movies on your phone, your laptop and your tablet may make a TV seem unnecessary.